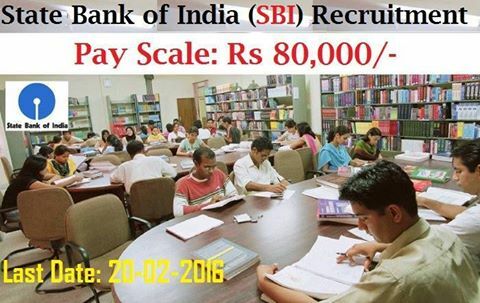 Are you looking for SBI bank jobs? they have announced new notification for freshers and experienced candidates. Want to apply for it. Now check it below. The candidate should essentially Graduate from a recognized University (preferably with minimum 60% marks) and Associate Membership of the Institute of Company Secretary of India. Candidates with additional degree in Law, MBA (Finance) from reputed ‘A’ grade B-School/ University and qualification of Chartered Accountants will be an added advantage. The Applicants Selection will be made of personal interview/ Merit list. Application fees and Intimation Charges (Non-refundable) Rs.600/- , Fee payment will have to be made online through payment gateway available thereat. Interested ,Eligible candidates can Apply for official website of State Bank of India. in for Full filled Application,attested documents, recent passport size colour photograph Applicants subscribing the post applied for Application Registration before on 13th February 2016.